Due to rising energy requirements, the use of low-weight materials is becoming more important, especially in aerospace and automotive engineering. Because of their high strength-to-weight ratio, carbon fiber reinforced plastics (CFRP) are increasingly replacing metals. These materials are usually machined by milling operations. Their main problems are high tool wear, thermal damage, and surface integrity. This paper presents a machine concept and control strategy to substitute milling with laser cutting. 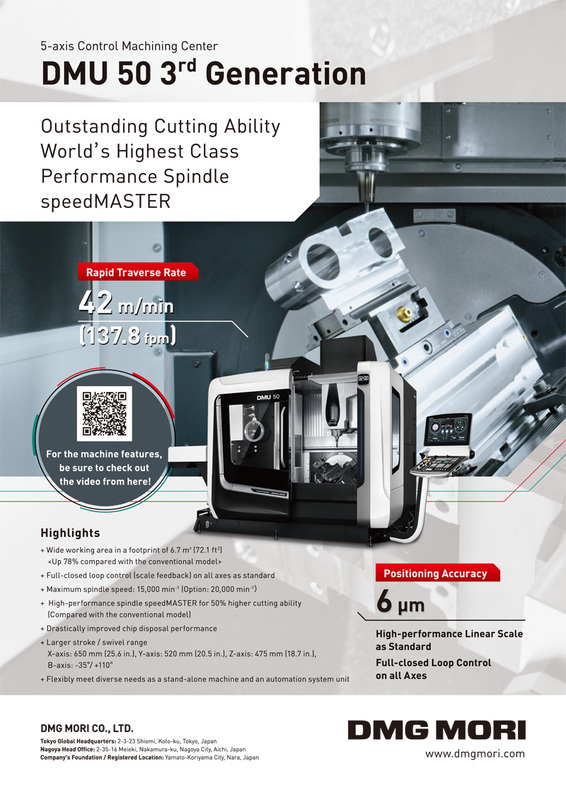 Because a high, constant-trajectory velocity is required during laser cutting operations, a highly dynamic machine tool is needed. Conventional machine tools requiring large workspaces are inertial and therefore unsuitable for this task. Thus, a portal machine concept was investigated with an additional laser scanner and lightweight moving components. To increase path accuracy, two control strategies were implemented and analyzed in a multi-body simulation. One approach is to use a frequency-separating filter, while the second is based on estimation of tool center point positioning error using a Kalman filter. An acceleration sensor located near the tool center point (TCP) or the drive current signal can be used as input for the Kalman filter. Both input signals are investigated and compared in this paper. Results presented in this paper show that with these control strategies, highly dynamic trajectories can be realized with high precision. B. Denkena, M. Eckl, and T. Lepper, “Advanced Control Strategies for Active Vibration Suppression in Laser Cutting Machines,” Int. J. Automation Technol., Vol.9, No.4, pp. 425-435, 2015. M. P. Bendsoe and O. Sigmund, “Optimization of Structural Topology, Shape, and Material,” Springer 2nd ed., XIV, 2003. N. Bhatnagar, N. Ramakrishan, K. Naik, and R. Komanduri, “On the Machining of Fiber Reinforced Plastic (FRP) Composite Laminates,” International Journal of Machine Tools & Manufacture, Vol.35, No.5, pp. 701-716, 1995. J. R. Ferreira and N. L. Coppini, “Machining optimisation in carbon fibre reinforced composite materials,” Journals of Materials Processing Technology, Vol.92-93, pp. 135-140, 1999. P. Jaeschke, F. Fischer, and U. Stute, “Cutting and trimming of carbon fibre reinforced thermoset and thermoplastic composites using high-power solid state laser sources,” International Conference on Manufacturing of Advanced Composites, 22-24 March, Belfast, 2011. S. Bluemel, P. Jaeschke, V. Wippo, S. Bastick, U. Stute, D. Kracht, and H. Haferkamp, “Laser Machining of CFRP using a high power laser – Investigation on the heat affected zone,” Proceedings of the 15th European Conference on Composite Materials (ECCM 15), Venice, 24-28 June, 2012. S. Bluemel, R. Staehr, P. Jaeschke, and U. Stute, “Determination of Corresponding Temperature Distribution within CFRP during Laser Cutting,” Physics Procedia 41, pp. 401-407, 2013. K. M. Litwinski, R. Peters, L. Overmexer, and B. Denkena, “Real time simulation approach for the machine tool design and error compensation,” 9th International Conference on Machine Tools, Automation, Technology and Robotics, September 12-14, Prague, Czech Republic, 2012. M. Rudermann, “Zur Modellierung und Kompensation dynamischer Reibung in Aktuatorsystemen,” Technische Universit”at Dortmund, 2012. R. Stribeck, “Kugellager füur beliebige Belastungen (Ball Bearings for any Stress),” Zeitschrift des Vereins Deutscher Ingenieure 45, 1901. R. Stribeck, “Die wesentlichen Eigenschaften der Gleit- und Rollenlager (Characteristics of Plain and Roller Bearings),” Zeitschrift des VDI 46, 1902. S. Klotzbach, “Ein nichtlineares Reibmodell füur die numerische Simulation reibungsbehafteter mechatronischer Systeme,” ASIM 2002, 16. Symposium Simulationstechnik, Rostock, 2002. E. P. Dadios, P. S. Fernandez, and D. J. Williams, “Genetic Algorithm On Line Controller for the Flexible Inverted Pendulum Problem,” Journal of Advanced Computational Intelligence and Intelligent Informatics, Vol.10, No.2, 2006. F. Hackelöoer, “Erweiterung der Einsatzmöoglichkeiten von Magnetfüuhrungen,” Dr.-Ing. Dissertation, Leibniz Universit”at Hannover, 2014. T. Torres, “Aktive Regelung eines Linearmotors mit dominanten mechanischen Resonanzstellen,” Dr.-Ing. Dissertation, TU Braunschweig, 2003. L. Ljung, “System identification: theory for the user,” Prentice-Hall, Upper Saddle River, NJ, USA, 1999. G. Welch and G. Bishop, “An introduction to Kalman Filter,” Siggraph Course, 2001. R. Best, “Digitale Messwertverarbeitung,” R. Oldenbourg Verlag, Müunchen, Wien, 1991. Q. Shi, L. Quyang, J. She, L. Xu, J. Imani, and Y. Ohyama, “Compensation of Stribeck-Type Nonlinear Friction in Positioning Control Using Equivalent-Input-Disturbance Approach,” Journal of Advanced Computational Intelligence and Intelligent Informatics, Vol.18 No.2, 2014. K. Sanada, “Using a Kalman Filter to Estimate Unsteady Flow,” International Journal of Automation Technology, Vol.6, No.4, 2012.